Massimo Campanini was born in Milan in 1954. 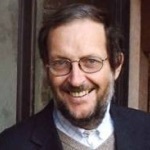 He graduated in philosophy at the University of Milan in 1977 and in Arabic at the Institute for the Middle and Far East of Milan in 1984. He taught many years history and philosophy in the high schools. Lecturer in history of the Muslim world at the University of Urbino since 1995; lecturer in Arabic culture at the University of Milan and then reader in history of the Arab world at the University of Naples l'Orientale; presently he is associate professor of Islamic studies at the Department of Humanities, University of Trento. He published widely (32 books) on the main topics of his research: Quranic studies; Islamic philosophy and contemporary history of the Arab countries. Among his monographies: Introduction to Islamic philosophy (Laterza 2004; Edinburgh University Press 2008); The Qur'an: Modern Muslim Interpretations (Morcelliana 2008; Routledge 2011); Il pensiero islamico contemporaneo (Il Mulino 2009); Oltre la democrazia: temi e problemi del pensiero politico islamico (Mimesis 2014).